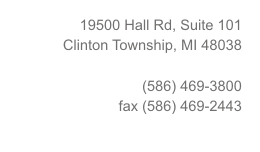 Seibert and Dloski specializes in all aspects of municipal law. The firm believes that it is the extent of the firm's commitment to its clients that insures the delivery of quality legal services. This commitment has made it possible for the firm to represent its municipal clients on a continuing basis for over thirty years. 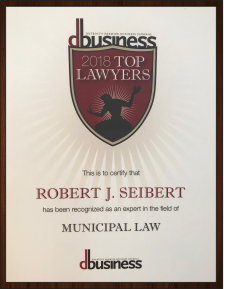 Seibert and Dloski holds the prestigious Martindale-Hubbell “AV Peer Rating Review” and in 2010 and 2018 Robert J. Seibert was listed in dbusiness Top Lawyers in Metro Detroit in the field of municipal law. Current municipal clients include Charter Township of Chesterfield, Charter Township of Washington, Bruce Township, Casco Township, Elba Township, Ira Township, Ray Township, Village of North Branch, Township of North Branch, Township of Goodland, Lapeer Emergency Medical Services Authority, Charter Township of China, Armada Township, Almont Township and Berlin Township. The firm has acted as Special Attorneys General for the Michigan Department of Transportation in condemnation proceedings throughout the State of Michigan and has been retained as special counsel to Richmond Township, Charter Township of Clinton, Charter Township of Shelby, City of Rochester Hills, Village of Sebewaing, Arenac County Road Commission and City of Sterling Heights. Our website was prepared for informational purposes only. This website may constitute attorney advertising. The materials contained in this site are not intended to, and do not constitute legal advice. Internet subscribers and online readers should never act upon any of this information without seeking professional counsel. Submitting information to our attorneys via e-mail does not create an attorney-client relationship and Seibert and Dloski, P.L.L.C. may use the information provided to check for conflicts of interest to determine if the firm can assist you with your legal inquiry. Neither transmission nor receipt of any of these materials creates an attorney-client relationship between the sender and the receiver. The use of the Internet for communications with the firm will not establish an attorney-client relationship and messages containing confidential or time-sensitive information should not be sent.